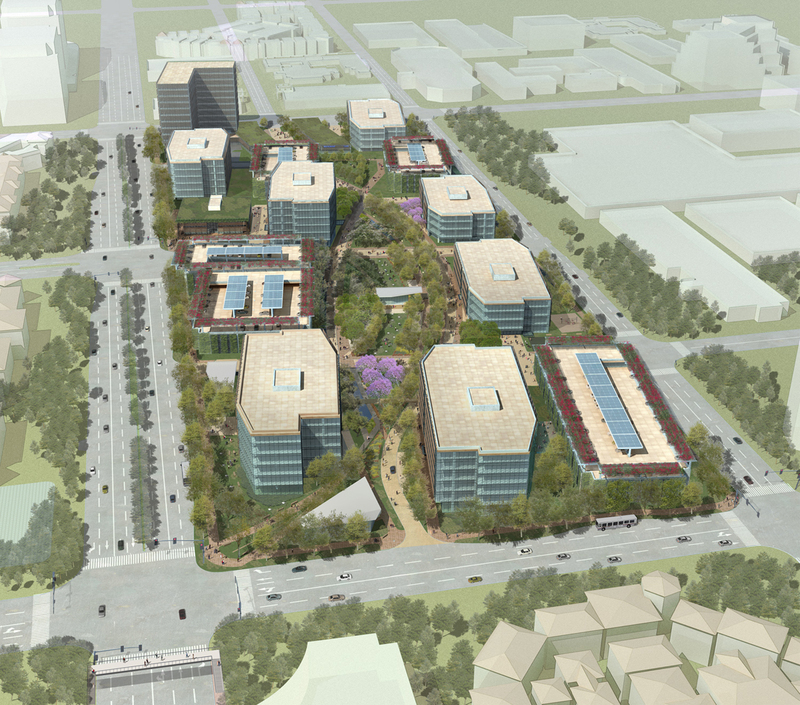 California Green, a 365,500-square-foot fully entitled and fully approved master-planned development, is on the corner of Jamboree and Michelson in Irvine, CA. Its central location is in close proximity to numerous amenities, housing and transportation options. The 16-acre site is part of a 23-acre masterplan and preserves three acres of open space providing outdoor workspace and gathering areas. Its unique building orientation and design provide the user with an iconic branding opportunity. 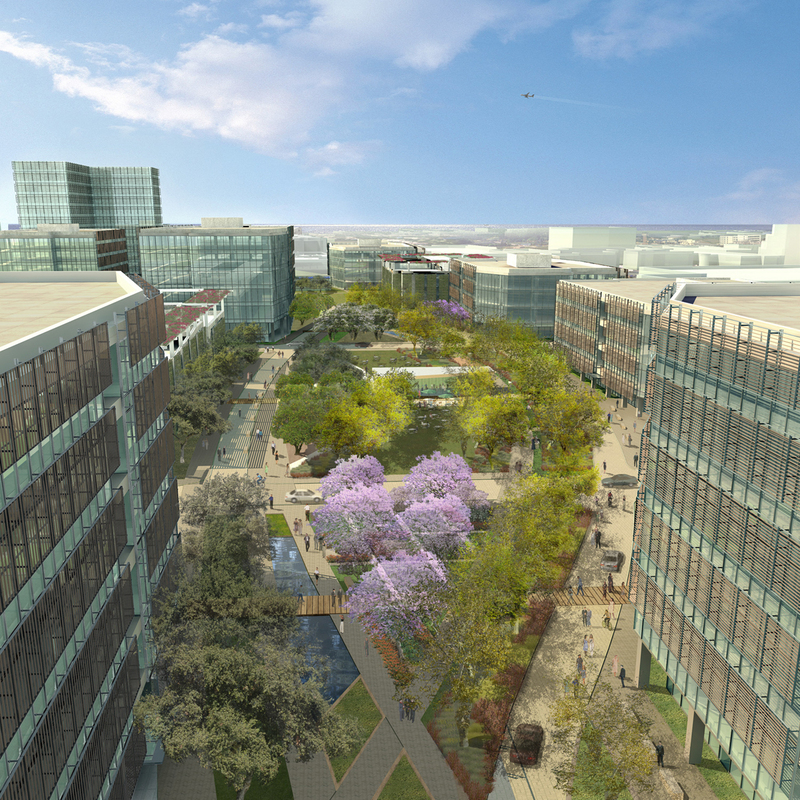 California Green, located in the center of Irvine's emerging business district and considered the "gateway" to Newport Beach, has access to a wide amenity base. Its close proximity to the John Wayne Airport, the 405, 55 and 73 freeways, mass transit, the San Joaquin Nature Preserve and the University of California at Irvine make it the ideal location. California Green's campus-like setting, world-class development team, project flexibility and design set the standard for excellence.